What are in-ear monitors (IEMs)? Most of us have attended a live event or viewed a broadcast program in which we have seen artists wearing these small earphones. Why? What exactly are they hearing? How do they work? There are a variety of types and styles of these “ear buds” on the market today, but the basic concept is consistent. They are used for the purpose of providing the “talent” with their audio monitor signal directly in their ear, or ears, rather than via traditional loudspeaker wedges on stage. Conventional circumaural/supraural headphones are too bulky and distracting for live performance, and professional ear buds are actually designed to fit into the ear, like an earplug. But, what are the advantages/disadvantages of this method of audio monitoring, and how can this technique be effectively employed in live sound for worship environments? Possibly the most important benefit I have encountered when using in-ear monitoring systems on church auditorium stages is the potential for much lower stage volume. Since fewer monitor speakers are needed on the platform area (in some cases, none) the overall SPL level on stage may be considerably less. This means a cleaner, more intelligible house audio mix (especially in the front few audience rows) and far less acoustic leakage into any open mics on stage. And, of course, lower levels on stage means less chance for acoustic feedback! Furthermore, any audio recording that is being done will be dramatically improved. Mobility is another point where ear monitors prevail, at least the wireless type. A performer who employs ear buds quickly finds that he/she is free to move about with virtually no change in the sound they hear – it travels with them! There is no longer a need to be concerned with standing right in front of a wedge monitor(s) or worry about stepping into the “sweet spot”. And the artist enjoys a volume control at their fingertips. Hearing conservation is an ever-growing concern, and as IEMs require much lower SPLs than typical loudspeaker monitors, they are clearly safer for the human ear. Plenty of audiology experts recommend this method of monitoring over loudspeakers. (The IEM models from Sennheiser and several other manufacturers employ built-in limiters to aid in preventing dangerous levels). And my favorite advantage: discrete communication! How many of “us audio mixers” have experienced the situation during a worship service where we desperately need to get the attention of someone on the platform who, despite your best arm-waving efforts, seems to look everywhere in the auditorium except at you? Ever consider trying to whisper through a “talkback” function modestly through stage monitors, guessing how much level is enough to get the person’s attention, but not so much that you are heard in the first five rows of the audience area? Well, with ear buds we have direct access to the ears of the talent wearing them – and there is no need to worry about spill or leakage. In fact, broadcasters have used ear buds for many years for monitoring and talkback feeds in a similar way. They call them IFBs (Interruptible Fold Back), are typically mono and not always of a fidelity suitable for music performance. So how do IEMs really work? They can be wired or wireless. Most available ear buds are terminated in a common “mini” headphone plug, which can be driven from most any device with a headphone output. Wired versions are often used for stationary performers (drummers, for instance). The wireless type (our focus here) requires the artist to wear a beltpack receiver with stereo headphone output. In this case, an offstage wireless transmitter is necessary. Hence, a true wireless inear monitor “system” consists of a transmitter, a portable receiver, and ear buds. The wireless format is commonly RF (radio frequency FM) and can be loosely envisioned as a “backwards” wireless mic system – that is, instead of the talent transmitting their wireless audio to an off-stage receiver, an off-stage transmitter broadcasts the applied audio signal to an FM receiver worn by the talent. In fact, at Sennheiser we manufacture two models of wireless in-ear monitor systems that basically employ the same RF wireless design techniques that drive our award-winning wireless microphone products (however, these IEMs transmit two channels rather than just one mic signal). This means that these systems employ extreme RF frequency agility – the ability to quickly retune to a wide choice of UHF frequencies to ensure interference-free operation. The same features/benefits you would expect in selecting a quality RF wireless mic system should also be demanded for any wireless in-ear monitor system being considered (frequency agility, RF power, S/N ratio, broad audio frequency response, etc.). But remember, RF wireless IEMs compete with RF wireless microphone systems and any other local RF, and must be frequency coordinated in the same manner used for RF wireless microphones. Most models marketed today are dual channel. The transmitters have two audio inputs, which can be run in stereo, single mono, or dual mono. The monitor signal to be heard via the in-ear system would be the same signal used to feed a monitor power amplifier (and its associated processing gear) in a traditional wedge monitoring setup. This signal might be derived from the house console’s auxiliary buss(s), from an on-stage dedicated monitor mixing console in more complex setups, or even an output of one of the specialized monitor matrix systems arriving on the market these days. Either way, any line signal that would work for feeding a monitor send on stage would be suitable, theoretically, for use with an IEM system. But, the mix must be different. Wouldn’t it be wonderful if we could literally replace our monitor sends on stage with an in-ear system and do nothing else? Unfortunately, the signal going into a performer’s ear via buds often needs to be quite different than what would work in a wedge. Certainly all ear buds, to varying degrees, offer acoustic isolation from outside sounds, almost acting like earplugs. This can be great – or disastrous! 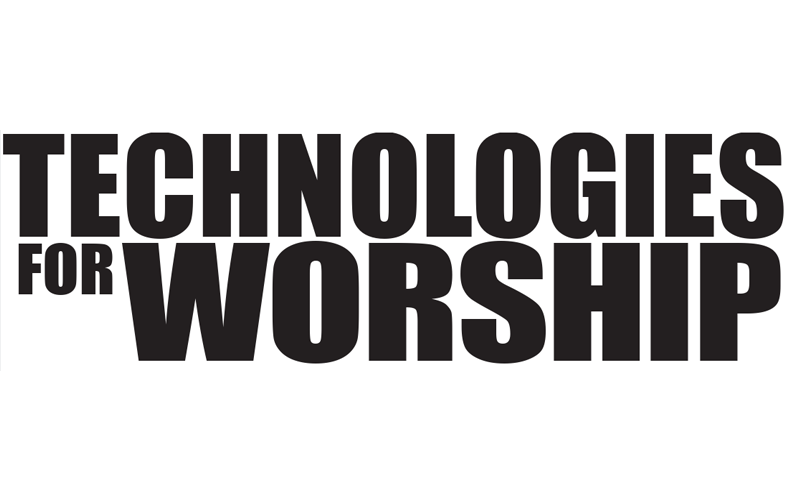 Consider, say, a music minister in a common worship service environment that has just made the change to wireless in-ear monitors, for greater mobility and lower stage volume, etc. 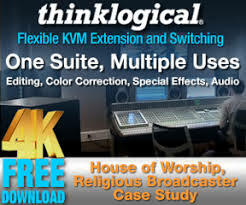 Since he is now acoustically isolated by the ear buds from surrounding sounds he must rely nearly 100% on the IEM mix for what he is hearing – he no longer has the benefit of the acoustics of the venue and the ability to hear congregational singing or other sounds naturally – big problem, right? This is why many well-applied IEM setups now require audio engineers to provide audience response microphone(s) or other elements to be mixed back in to the IEM send. In this way, the acoustic sense of the “room” can be returned to the above music minister’s ears and eliminate the panic he might have first experienced with the buds – feeling very alone and isolated. (The techniques involved in properly “returning” the feel of the room to in-ear monitors and the associated issues of stereo imaging are quite complex and certainly a sizeable study in themselves. And, from what I have seen, these practices are largely still being molded and defined in the pro audio industry). Another approach is to wear only one earbud, leaving one ear open to hear the natural environment. Case in point – Jonathon Lowery, Associate Minister of Music at Hickory Grove Baptist Church recently began using a Sennheiser 300IEM wireless in-ear monitor system in mono mode. He has settled on the one-ear approach and states, “Being a hearing impaired vocalist/worship leader, my ear monitor system has proven to be an absolute life-saver. No matter where I stand or turn on the platform I always get a clean, tight mix of the “essentials” in one ear, and I keep my other ear open to hear the congregation and orchestra, and that helps me stay in touch with the general feel and mood of the service. What an awesome tool!”. I believe this approach probably makes more sense to many church musicians and may take the fear out of attempting to “switch to ears” from those trusty old stage monitors. If you are involved in a church sound or music environment and are thinking about the potential of moving to in-ear monitors you will want to compare costs. Prices vary widely, but there are several high-performance wireless models currently available on the market under $1000 per complete system. Not a hard sell to any finance committee when compared to the cost of traditional stage monitoring gear (power amplifier, loudspeaker wedge(s), and equalizer or other processors). And, the sonic fidelity from well-designed models can be astounding. Also, keep in mind that any number of receivers can be added to receive the broadcast from a single IEM transmitter. Some systems come with adequate, high performance ear buds and some may require 3rd party specialized ear buds purchased separately for optimum performance. Additionally, anyone who is planning to wear ear buds for any real length of time should consider having custom receiver molds made. These are silicon fittings that can be customized to exactly fit one’s ear and provide increased comfort and sonic performance, especially during long sessions of wear. Any licensed audiologist should be able to quickly form the impressions of one’s ears (it’s quick and painless) and forward them to a specialty house to have the final custom silicon fittings produced. This service is typically $100-$150, and is well worth the investment. Finally, IEM systems are not right for every monitoring situation. But, they are increasingly common and can offer many sonic, financial, and health benefits. 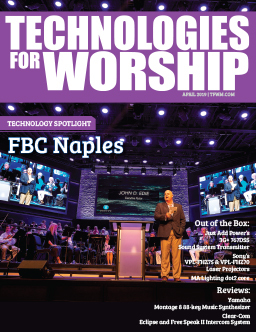 This rapidly growing audio trend is intriguing and is worth fair consideration for any worship facility reviewing their sound monitoring options.